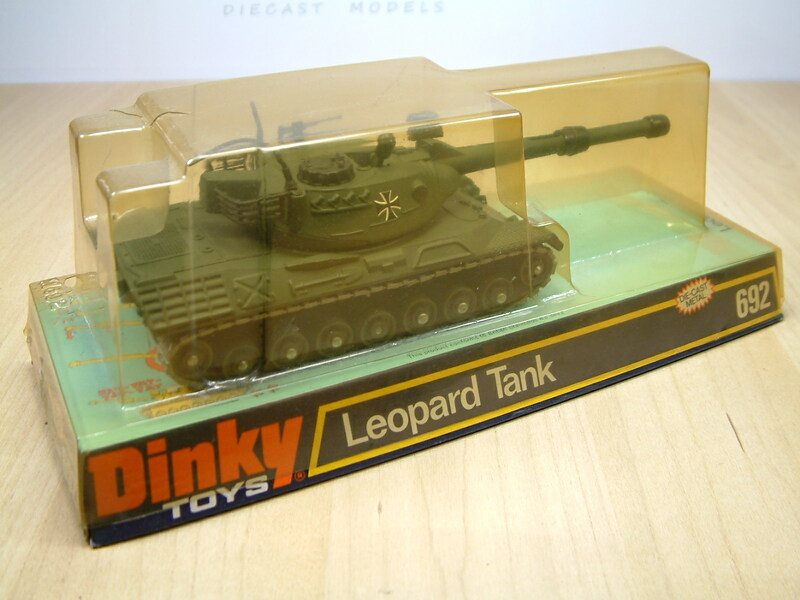 This is a Dinky 692, German Army Leopard Tank. 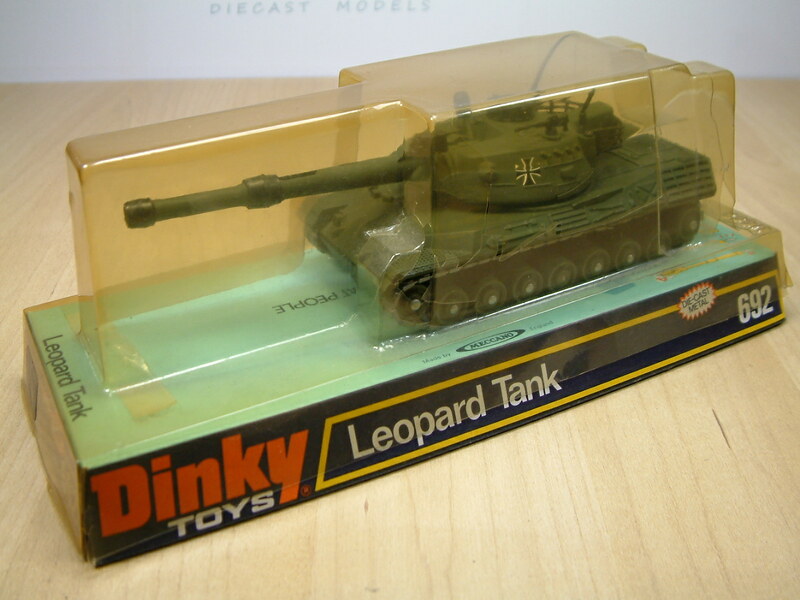 Dinky also produced a Battlefield ‘REME’ recovery version of this tank. 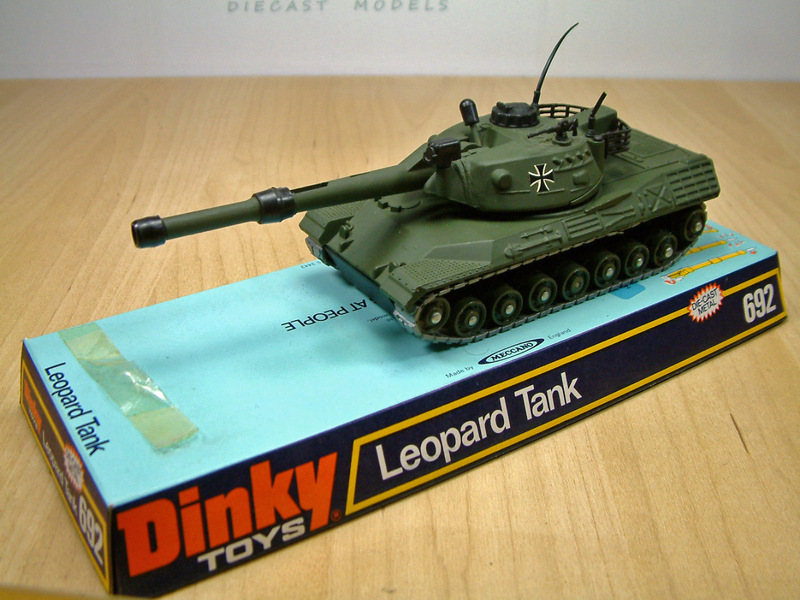 This model was produced from 1974 to 1980. 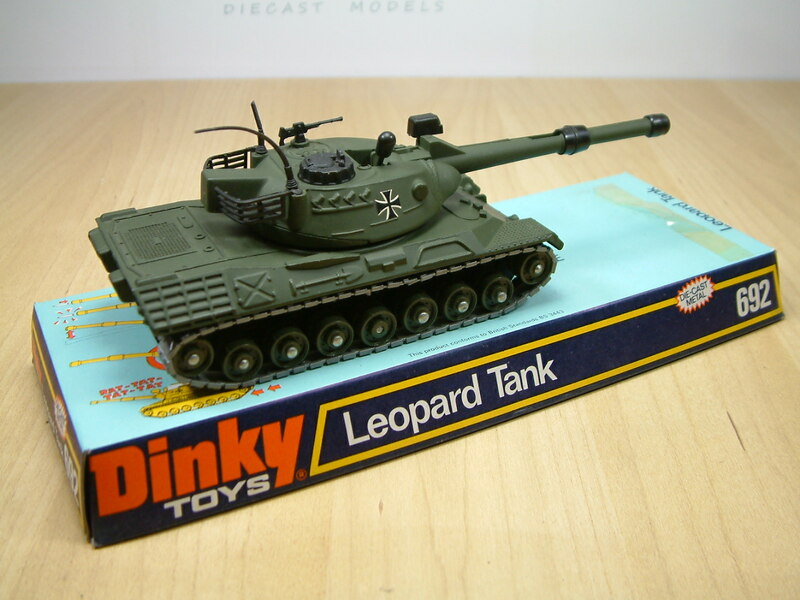 This entry was posted in Military and tagged Battle, Battlefield, Dinky, German Army, Military, Tank. Bookmark the permalink.